In My Sentimental Library Collection, I have books written by and about the authors I collect. I have books they formerly owned. I have catalogues of their libraries, if ones were published. I have their bookplates, if they had ones. I have letters written to or from them. 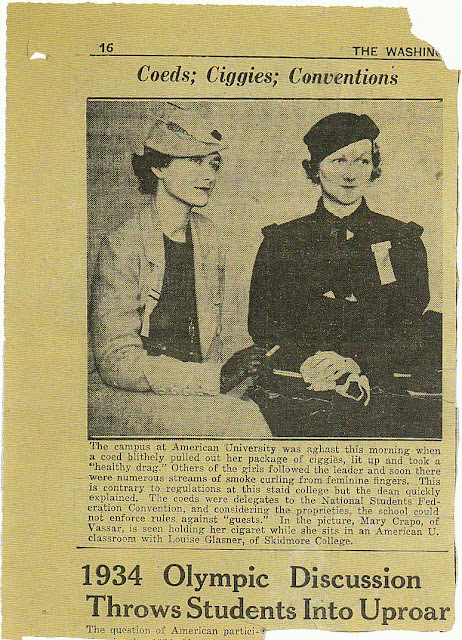 And, in the case of Mary Hyde, I have a few photos of her, and two newspaper articles about her. To old friends of the Hydes, these images will bring back memories. 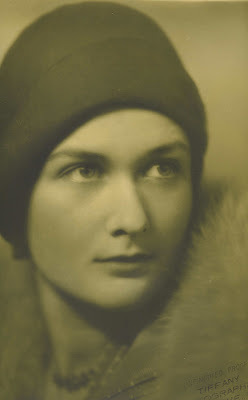 To new friends, these images will provide glimpses into the life of Mary Hyde. At the Signing of the Declaration of Independence! 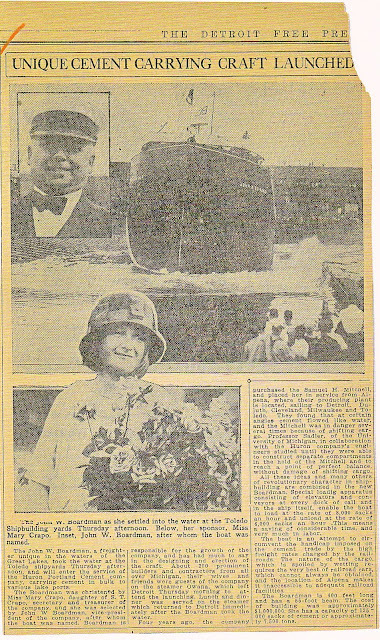 I acquired these photos and newspaper articles from Gabriel Austin and Sally Bullard. Visiting antique shops has become one of my favorite pastimes. Almost every Friday, my wife and I, together with the Harrises, do our best to help the economy, visiting not only antique shops, but thrift shops and bookstores as well. Linda, my wife, looks for antique furniture, and Bing & Grondahl chinaware with the seagull pattern. Eve looks for trinket boxes. Tom looks for books and video tapes. I look for books. We all look for each other's things. I don't expect to find the kind of books I collect in the antique shops and thrift stores, but I enjoy looking. Last Thursday and Friday, we visited the antique shops and bookstores in Jacksonville, Florida. On our way home Saturday, we visited the antique shops in Umatilla and Mount Dora. It was in the Umatilla Antique Markets & Bookstore that I found a rather choice item for My Sentimental Library Collection. 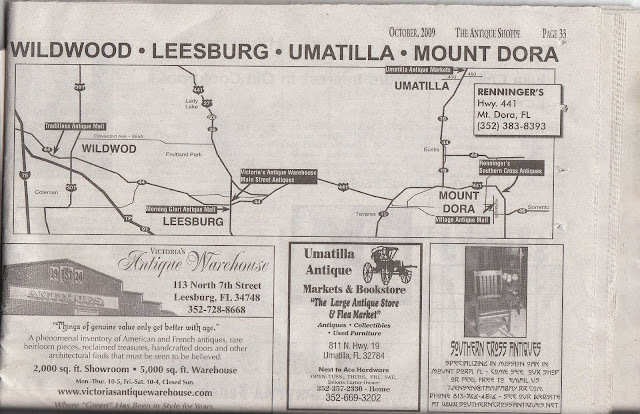 The Umatilla Antique Markets & Bookstore was really just one big antique store, with books in almost every corner. I guess the "bookstore" was located in the far right-hand corner, a bargain bookstore of over a thousand books. Hardbacks were a dollar, and paperbacks were fifty cents. Most of the books were modern first editions, arranged alphabetically by author. Nonfiction books were gathered on two bookcases in the middle, arranged in no particular order. 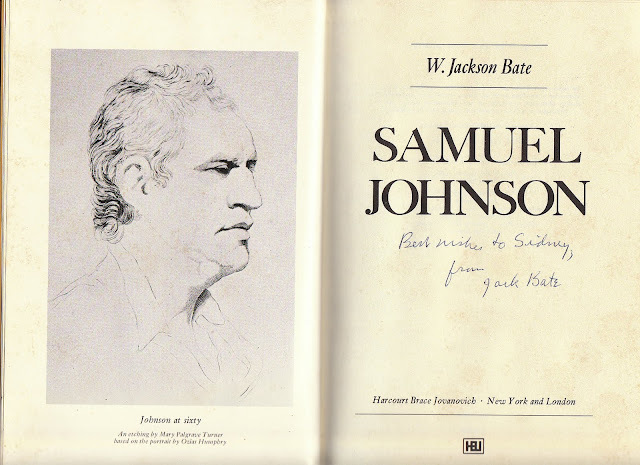 In one of them, I found a copy of Samuel Johnson by W. Jackson Bate. The dust jacket you see in the image above is not the dust jacket which accompanied the book. I swapped it with another copy in my library. The original dust jacket was badly torn. The book itself was not in pristine condition. The cover was heavily soiled along the top edges. 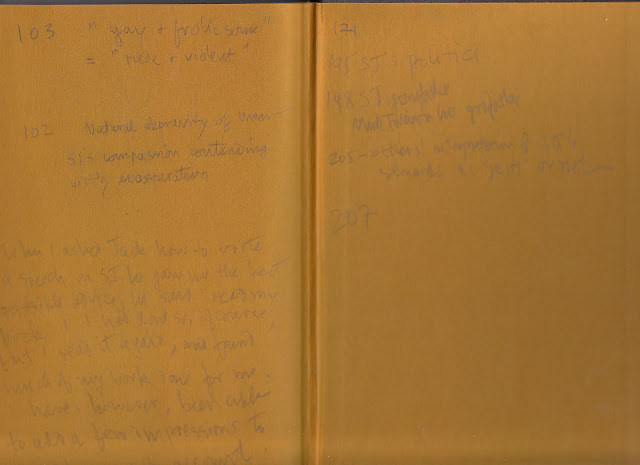 Even though the endpapers were heavily annotated, as were some of the pages in the text block, I thought the book deserved a second look. Who knows? The owner could have been somebody important in the book world. The previous owner signed his name in the book on the front pastedown, "Ex Libris, Sidney Something." I couldn't decipher the last name. 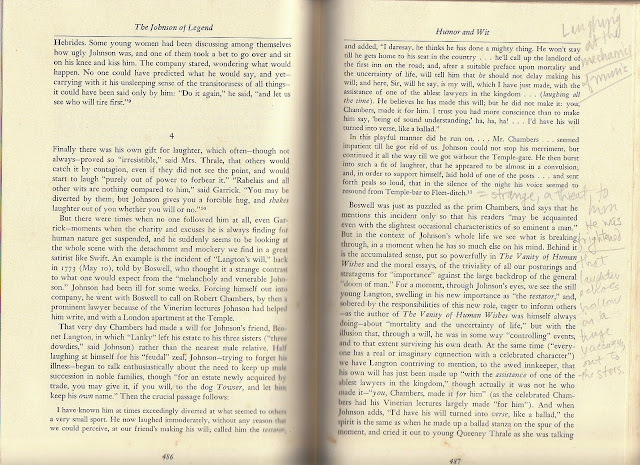 But, judging from the annotations, the guy definitely got his money's worth out of reading the book. I was pretty sure I already had a copy of the book; but Tom was willing to take the book off my hands if I did have a copy. Besides, the book would only cost me a dollar. But the more I delved into the book, the more I realized it was a keeper. The owner of the book seemed to know the author --he called him Jack and asked him for advice on writing a speech on Samuel Johnson. The author replied, "read my book." Read his book he did, making lots of notes about Johnson. My research later showed that the owner did give a speech on Johnson. On September 20, 1985, he was the speaker at the annual meeting of The Johnsonians at The Century Association in New York City. 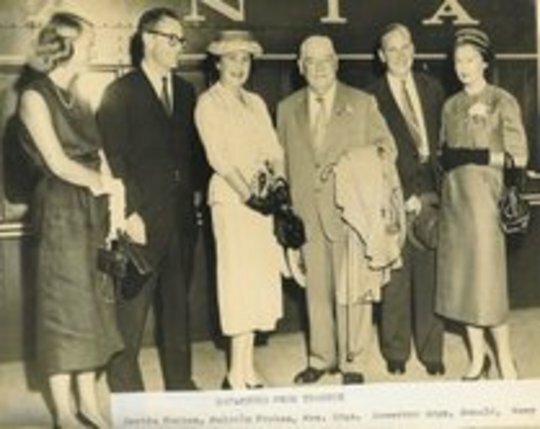 The Johnsonians met each year in September to celebrate Samuel Johnson's birthday, a celebration which Donald and Mary Hyde started in America in 1946. 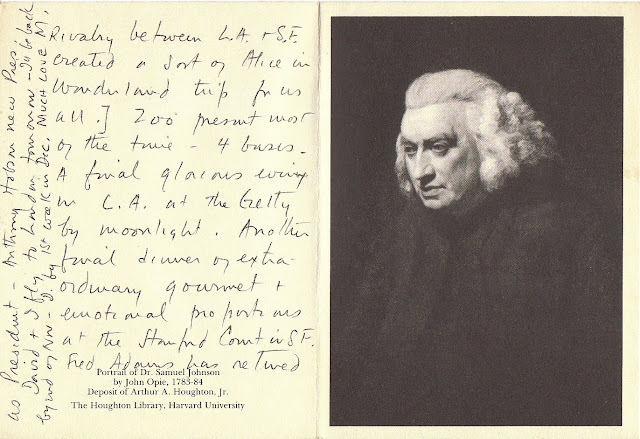 On our way to the register, Tom found, tucked inside the pages of the book, what appeared to be a postcard with Samuel Johnson's portrait on the front of it. 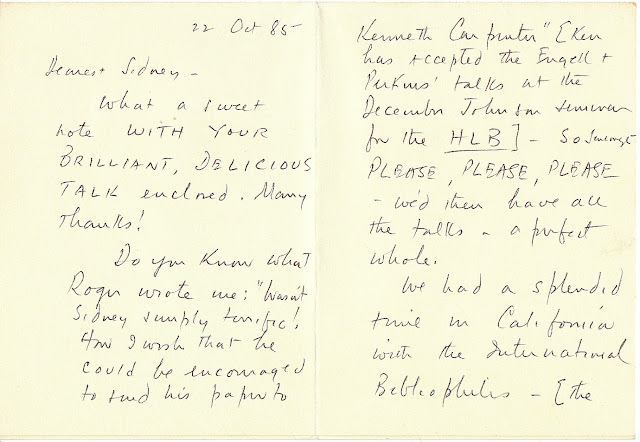 I also discovered that what Tom found wasn't a postcard after all, but a letter written by a prime player in the book world. I'll have more about this letter shortly. 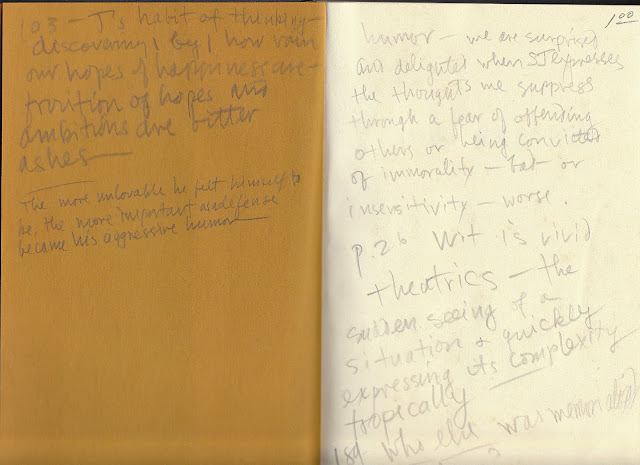 But first, I need to identify the owner of the book. It didn't take long to find out who Sidney Something was. My research revealed that Sidney Ives was the owner of the book. Sidney Ives was the Librarian of Rare Books & Manuscripts at the University of Florida at Gainesville from 1980 until his retirement sometime in the late 1990s. Prior to that, he was the Acquisitions Bibliographer in the Houghton Library at Harvard University. 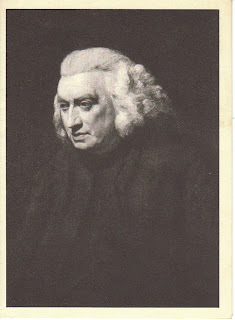 Sidney Ives was no stranger to Samuel Johnson. He was a member of The Johnsonians. 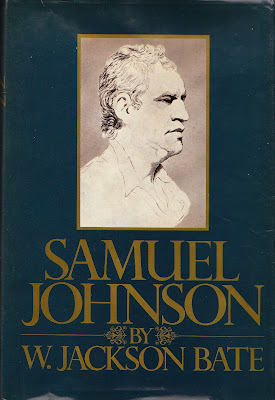 In 1966, he compiled the publication describing the exhibition of the Samuel Johnson Collection belonging to Mary Hyde and her recently deceased husband, Donald Hyde. Ives was no stranger to the Hydes either. He was the author of one of the essays in Eighteenth-Century Studies In Honor of Donald F. Hyde. 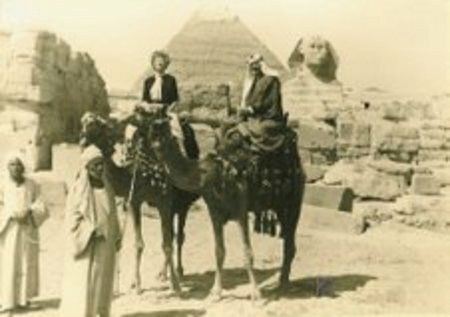 Moreover, records of the Mary Hyde Eccles Papers at Harvard indicate that Ives corresponded regularly with Mary Hyde after he relocated to Florida. Before I went to bed Saturday night, I had an inkling of who the letter writer, "M," was, but dismissed it as being too far-fetched. If it was who I was thinking of, "M" went to California in September, 1985 to give a speech before the Johnson Society of Southern California. And her second husband's name was David. I knew this because I collected books by and about her. I even had some of the books she formerly owned in my own library. 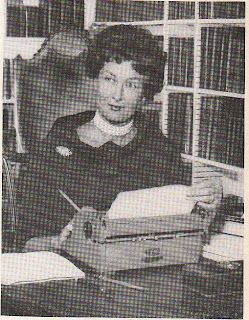 If I was right, the letter writer, "M," was her ladyship herself, Mary Hyde. 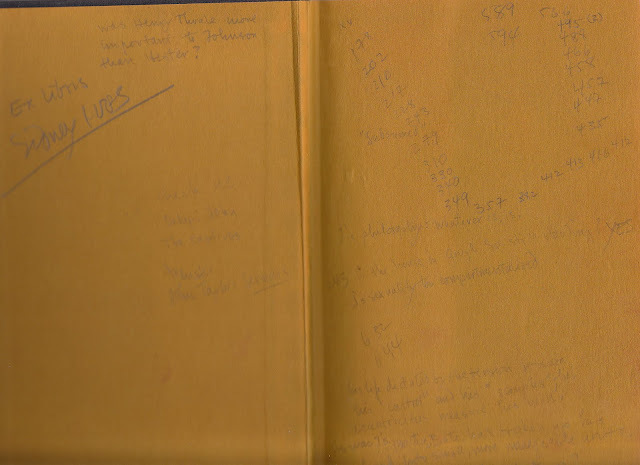 At one-thirty in the morning, I was back in my library, comparing the handwriting of one of Mary Hyde's letters which I had in my library with the handwriting of the letter to Sidney Ives. The "M" matched in both letters. "Da vi d," with a sweeping flow of the "vi," separated from the "Da" and the "d," was written exactly the same way in both writing samples. A number of letters were written exactly the same way in both letters. 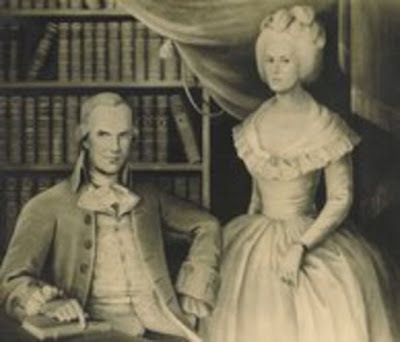 Mary Hyde was the author of both letters. Unbelievable! 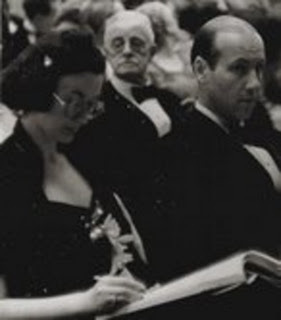 Only a Mary Hyde collector, or one who was familiar with her and her handwriting could have identified her as the writer of the letter to Sidney Ives. And to think that I found it tucked in a book in an antique store in, of all places, Umatilla, Florida!